From the historic riches of New England to the plains of the Midwest … from the gently sloping hills of the Mid-Atlantic States to the sweeping shores of Miami and Fort Lauderdale … from the westward gateway of St. Louis to the desert beauty of Flagstaff … the entire U.S. Sonesta Collection has been reinvented. And we invite you to experience it for yourself. If you’re reading this, it’s no secret to you that the Sonesta Collection offers a different, more personal kind of hotel experience. We’ve been doing so since our founding over 75 years ago. For several years now, we’ve been busy expanding and bringing a new look and feel to our recently launched Sonesta ES Suites brand and to many of our U.S. hotels and resorts. With renovations complete, this month marks the official launch of our newly RE:imagined Sonesta ES Suites, our extended stay brand that’s ideal for business trips, family vacations or those relocating in need of a temporary place to hang their hats. 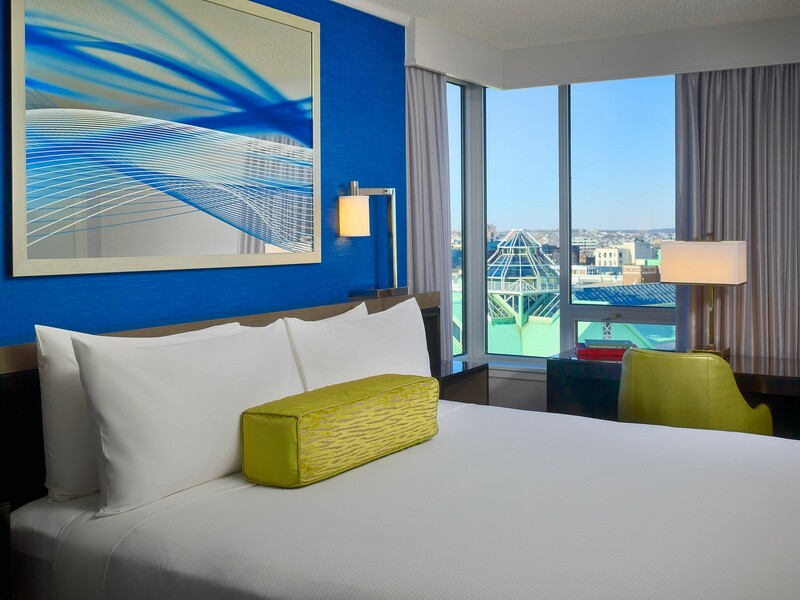 You’ll love our surprisingly different take on the all-suite hotel, designed to be as flexible as the needs of guests. Each of the new residence-style Sonesta ES Suites features oversized accommodations with fully equipped kitchens, adaptable work areas, common spaces designed for socializing, as well as a friendly, attentive staff that aim to make you feel relaxed and ultimately – at home. Separate bedrooms and living spaces in each suite offer privacy and space to relax and recharge. From unexpected treats and social gatherings to celebrating the unique culture and flavor of the local community, guests of Sonesta ES Suites enjoy a distinctive unexpected experience along with the warm, welcoming feeling of being looked after by people who care. Meanwhile, Sonesta Gwinnet Place Atlanta, Royal Sonesta Harbor Court Baltimore, Royal Sonesta Boston Cambridge, Sonesta Resort Hilton Head Island, Royal Sonesta Houston Galleria and Sonesta Philadelphia are welcoming guests and business gatherings with new, innovative and stylish designs that give a nod to their destination by bringing what’s outside in. In these inspiring, refreshed properties – part of a $250 million investment – local culture inspires everything from the interior spaces to the menus in our onsite restaurants. Our signature “Food is Art” and “Liquid Art” programs bring delicious culinary and craft-cocktail creations to your table – meant to be savored by both the eyes and the taste buds. Every meal and event is an experience, whether you are dining at the hotel restaurant, sipping a cocktail in the lobby bar or catering a meeting. What’s more, plans are underway to deliver a re-imagined guest experience at Royal Sonesta New Orleans. Learn more about our new looks here. And remember that Sonesta is adding new hotels each year, thoughtfully considering how we can expand the Sonesta Collection without compromising our principles and our commitment to authenticity and genuine hospitality. For more about the Sonesta Collection, visit www.sonesta.com.